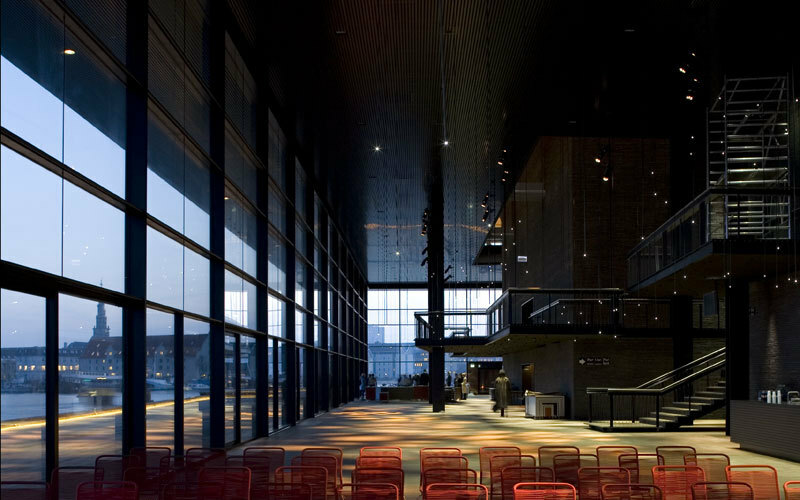 The Royal Playhouse was inaugurated in February 2008 - and is the new national stage for the dramatic arts in Denmark. The new Playhouse is beautifully located on the waterfront of Copenhagen's harbour and is already a designated city landmark, planned and projected for over 130 years. The new theatre has a large auditorium and stage, a grand waterfront foyer and a long promenade made of rural oak planks running alongside the building, connected to the main walkways into the city. The lobby at The Royal Playhouse is home to a series of concerts during Copenhagen Jazz Festival. Known collectively as 21st Century Jazz, the theme's accompanying artists are all immensely talented musicians and composers, approaching their craft with a historical sense of upheaval. Composition, avant-garde and premeditated experimentation are all keywords here, often joining forces with untamed improvisation to offer a rare glimpse at a multitude of musical futures.